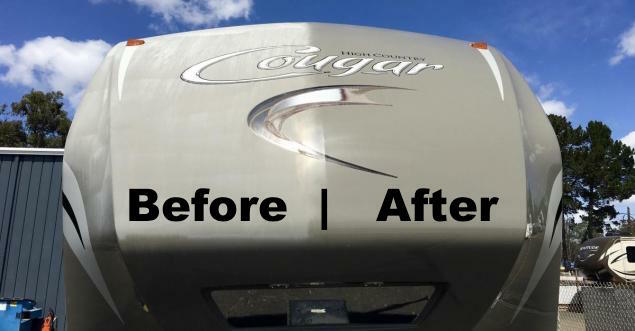 Keep Your RV Shiny and Clean! Recreational vehicles tend to spend their life outside in the elements (hot, cold, rain, snow, wind) and all of these conditions are hard on the finish. It isimportant to keep the exterior washed and waxed to prevent oxidation. The roof needs to be cleaned frequently, and treated and sealed on a regular schedule to prevent damage that leads to leaking, the number one cause of RV damage that we have seen.